Open multiple files by adding one OST after the other to view data. Read & Open OST file with data like: Emails with attachment, Calendars, Tasks, Contacts, Notes, etc. Exchange Server environment & Outlook installation is not require to read data from OST file. Option to save scanned file after once scanning of file(s) done. Item count facility for each folder & sub folders within an OST file. 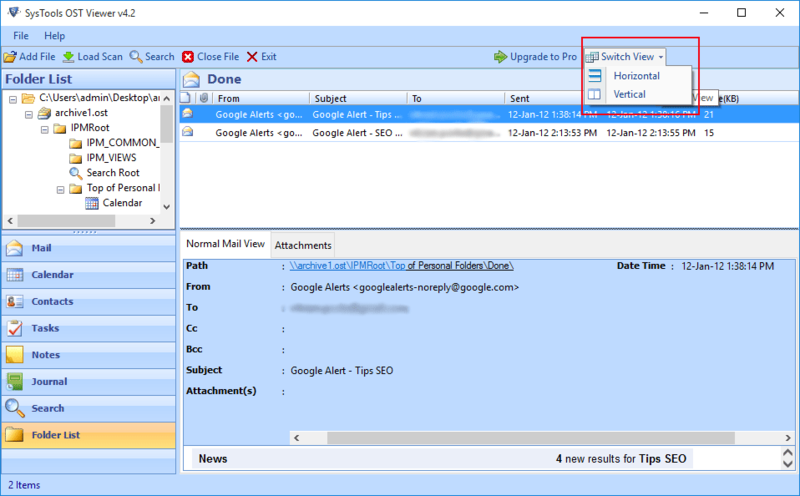 User can view Emails with Attachment, and Maintained Each Information related to Emails like: Sender Name, Receiver Name, Sending Time, Receiving Time and Size of Email. There are two scanning mode for OST files: Quick Scan Mode & Advanced Scan Mode. Quick scanning mode is for creating index of all data items and Advanced Scan Mode is for detailed analysis of data. This tool open OST files, it's not only to preview emails, it previews all items present in OST file. Users can read all of their contacts and calendar information stored in the file. 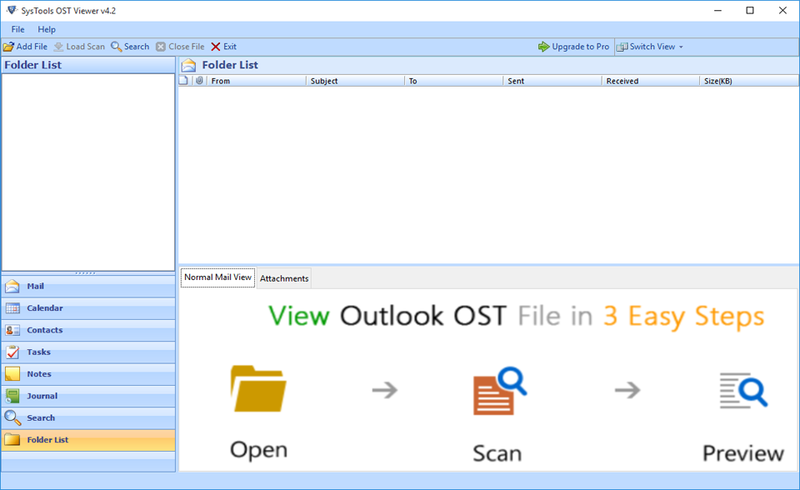 It is an independent tool for reading OST file; it does not need any other software like: Microsoft Outlook or Exchange Server to preview data. At the time of scanning, this software maintains folder hierarchy with each data items and if it gets any error, then it resolves that and at last displays all data available in OST file in a proper format. OST Reader is free of charge and user need not have to pay any amount for using this tool. Users just need to download and use this tool without any setup/configuration required. 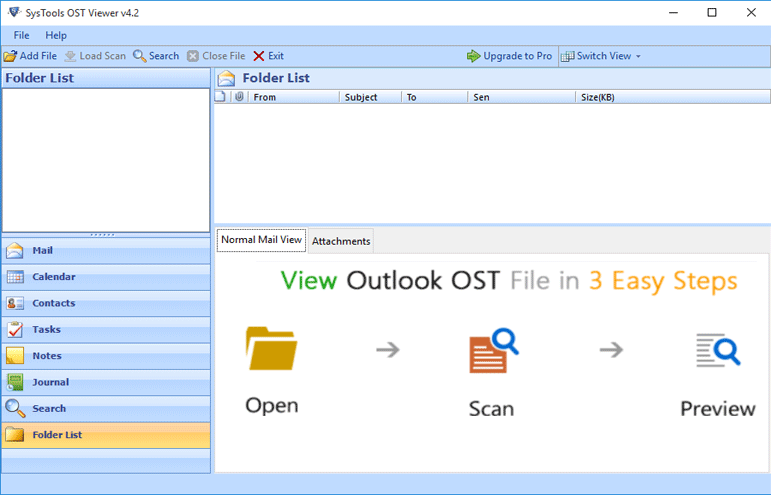 What is Outlook OST File? OST stands for Offline Storage Table and it is used to save user's data offline on the local machine in a file having .ost extension. It is created when a user is accessing E-mails with Microsoft Exchange Server or Windows Live Hotmail. Users always need to be connected to Exchange Server for accessing emails. 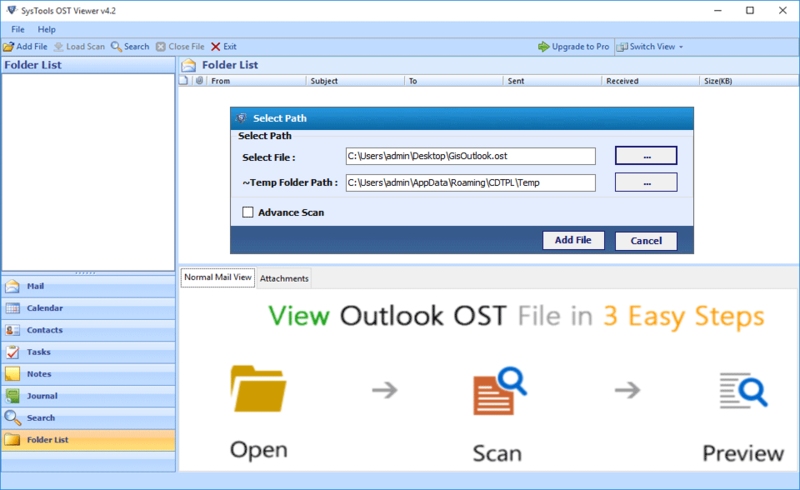 However, with the help of OST file, they can access emails & change contents in offline mode. Any changes done by the user will synchronize automatically whenever the connection to Exchange Server is restored. No external application required for support. Preview all OST file data items separately. Maintain the previous folder hierarchy. Dual scanning mode to optimize OST data. It is really an amazing tool, which helped me to view my contacts from OST file. I am thankful to the developer team of OST Reader. Can I restore my OST file contents as a newly generated OST file? No, you cannot save OST file data you can just view the data stored in it. Can I view my OST file contacts using this tool? Yes, you can view all contacts available in OST file using this OST Reader tool. Will this tool let me save email attachments? No, this tool does not allow saving anything including email attachments. You can only view the items in the file. Does the tool require any environment to read the OST file? No, it does not require any other tool to preview the OST file contents. I am running an Office and all my important emails and list of contacts were in an OST file since the last 7 months. 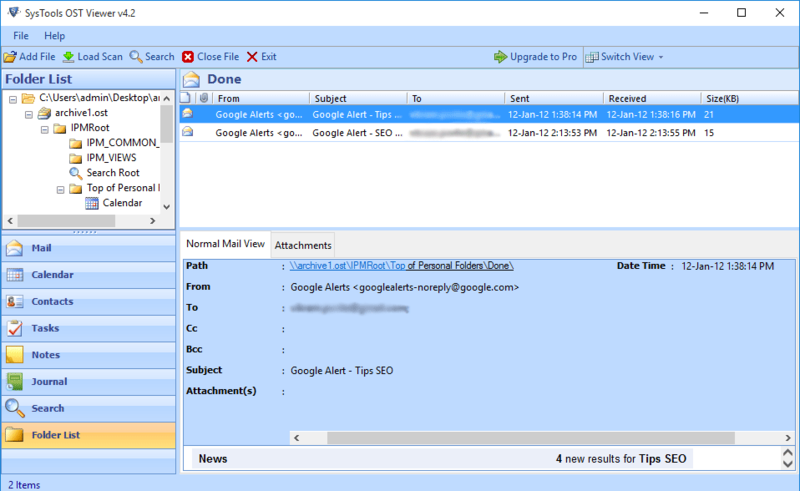 With the help of this tool, I was able to open OST file and access emails and contacts in it. It really saved me from a huge amount of loss. OST reader helped me to get my client's contact list as well as important emails related to accounts from OST file and it helped me to connect with my old clients.